Lost Railways of Glasgow (Part 1). This and the next pages include more of Chris Jennings' excellent photographs. 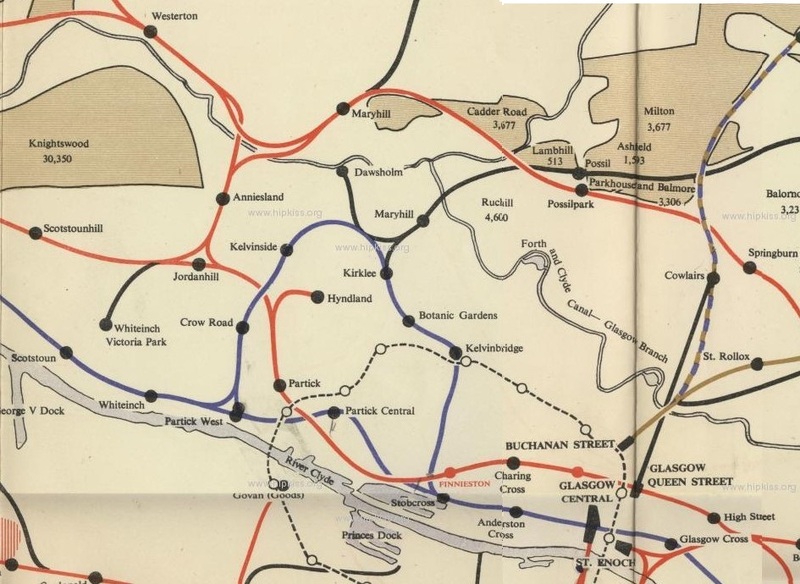 For background information and commentary, we recommend Glasgow Punter's blog on the 'Disused Train Lines and Ghost Railway Stations of Glasgow' and the useful map here, which is an extract from this much large original, published by the British Transport Commission. The red and blue lines respectively indicate the first and second stages of planned electrification, instead of which much of this network got the Beeching treatment; and, as the years go by, urban development makes it ever more difficult to recover what has been lost. This is not a very smart result given that, in September 2017, Glasgow Punter reported the city as having 'two of the most heavily polluted streets in Scotland on recent measures'.